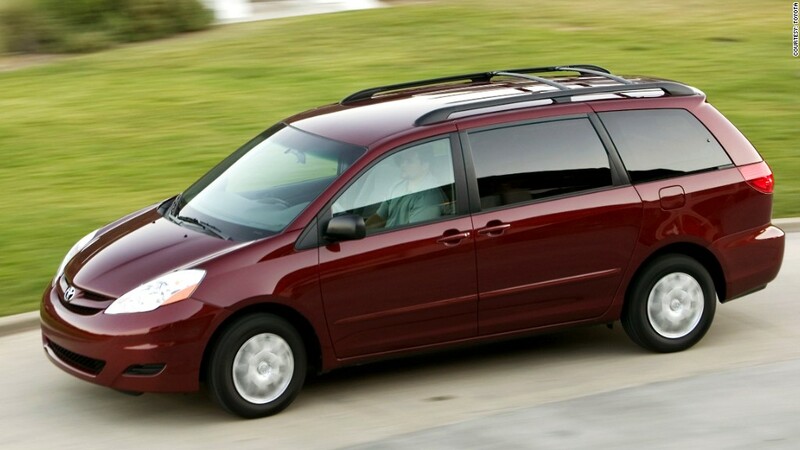 Toyota is recalling over 600,000 Sienna minivans for a problem that could allow them to roll away when parked. Toyota is recalling 615,000 Sienna minivans in the United States for a problem that could allow them to roll away when parked. The minivans involved are from the 2004, 2005 and 2007 through 2009 model years. In these vehicles, a mechanism inside the shift lever could break allowing the minivans to be shifted out of park without the brake pedal being pressed. If that happens the vehicle could roll away. Toyota (TM) is aware of 21 accidents and two minor injuries resulting from this problem, Toyota spokeswoman Cindy Knight said.